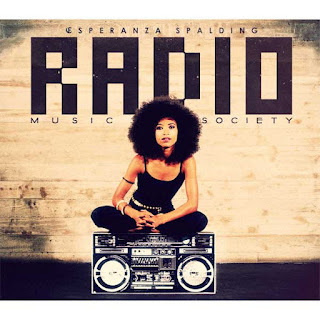 Something Good to Read: Music We Like: "Radio Music Society" by Esperanza Spalding. Music We Like: "Radio Music Society" by Esperanza Spalding. Although being knee-deep in summer activities is shortening time for reading, I am making time to listen over and over to Esperanza Spalding's terrific jazz album, Radio Music Society. Spalding is a bassist, composer, vocalist, and the winner of the 2011 Grammy for Best New Artist, the first time a jazz artist received this award. Radio Music Society is her latest disc, a collection of accessible, contemporary pop. Since it's hot outside, why not pour yourself a gin and tonic, cue up Radio Music Society, and cool down with Ms. Spalding's breezy, jazzy stylings.